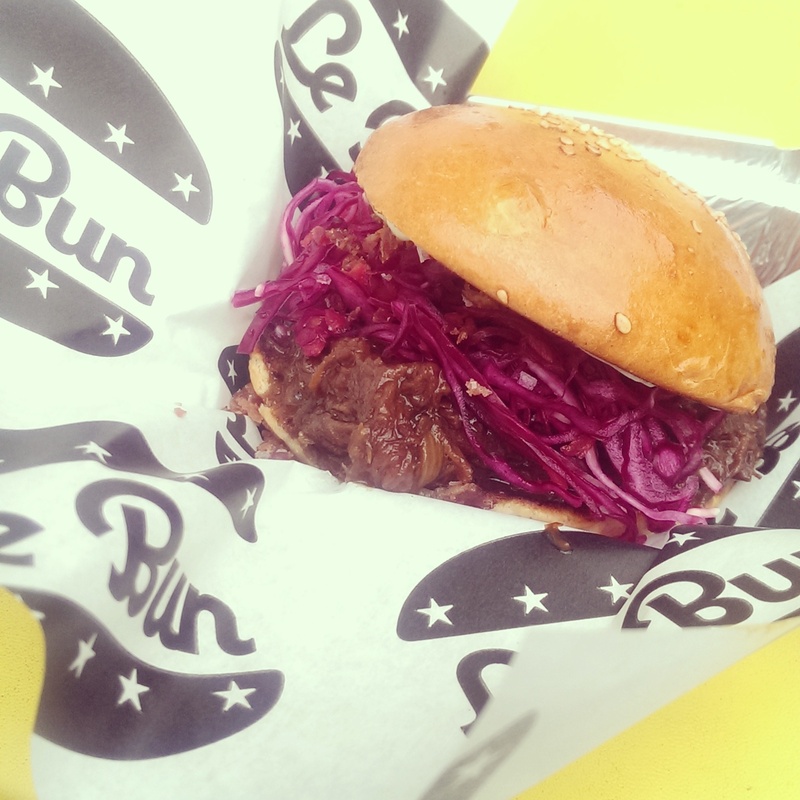 Okay, quick article about the next Street Feast at Dalston Yard – a weekend night market that’s free entry 5-7PM (3 pounds after), that offers the best of London’s street food, pop ups, vans and trucks. Each weekend provides different traders with a few permanent bar joints. Unlike the Winter 2013-14 Street Feast Hawker House, this venue is outdoors and rarely covered up, so bring your jumper and brolly! Huddle around the fire if it gets chilly, or make most of the sun. Although it makes more a less claustrophobic and more sociable atmosphere. Bleecker St. Burger has been around the street circuit for a while now – with good reason. Going off menu for Angry Mixed Fries was a good idea, potato and sweet potato fries with hot and blue cheese sauce was excellent – I barely noticed when I had finished my box, ended up stealing my friend’s to take home later. 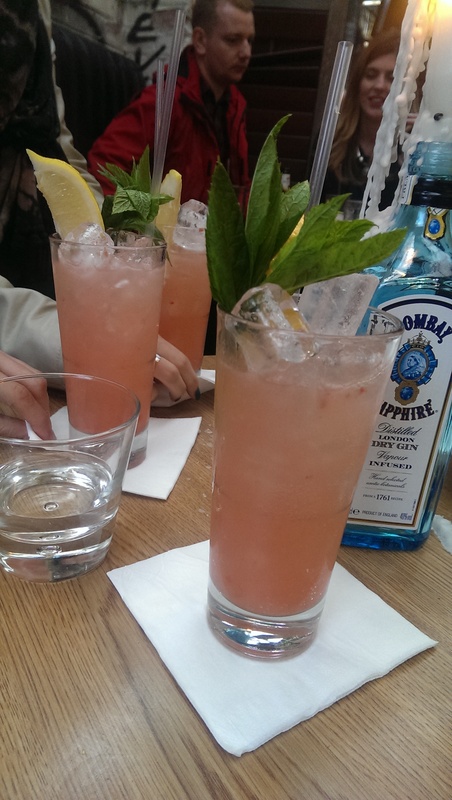 (gin, lime juice, shaken raspberries, ginger and fizzy water) for 8 quid. Finally, ending at Sorbitium Ices as expected! Sour Cherry and Almond ice cream being wonderfully subtle with the occasional burst of tartness, followed by the the sweet and malty dryness of Malt and Chocolate. Was less of a fan of the Spiced Rose and Mastic for being a bit more fragrant than it should have been, but if Rose and Prosecco sorbet is available, go for it! Some old school reliables like Sea Salt Caramel also available, with sauces like bourbon butterscotch (YES). Major Shout outs to the Kamm and Sons’ KammShed for ginseng cocktails with a Brit-theme, Engine Hot Dogs and the ever-loved Kimchinary for teaching a friend that Korean and Burritos can work! If anything, my one issue was failing to find coffee anywhere (Where are you, Kalopsia?!) 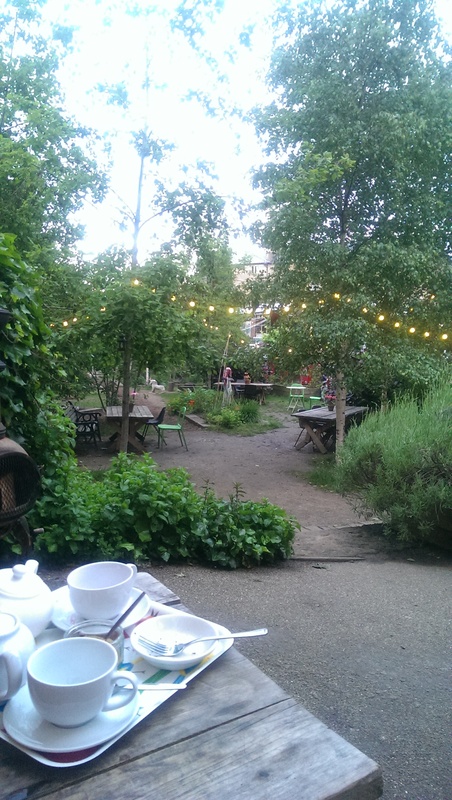 – but luckily, next door you can find peace from the crowd at the Dalston Curve Garden Cafe with a large cafetiere for 4 quid – ending our day wonderfully. 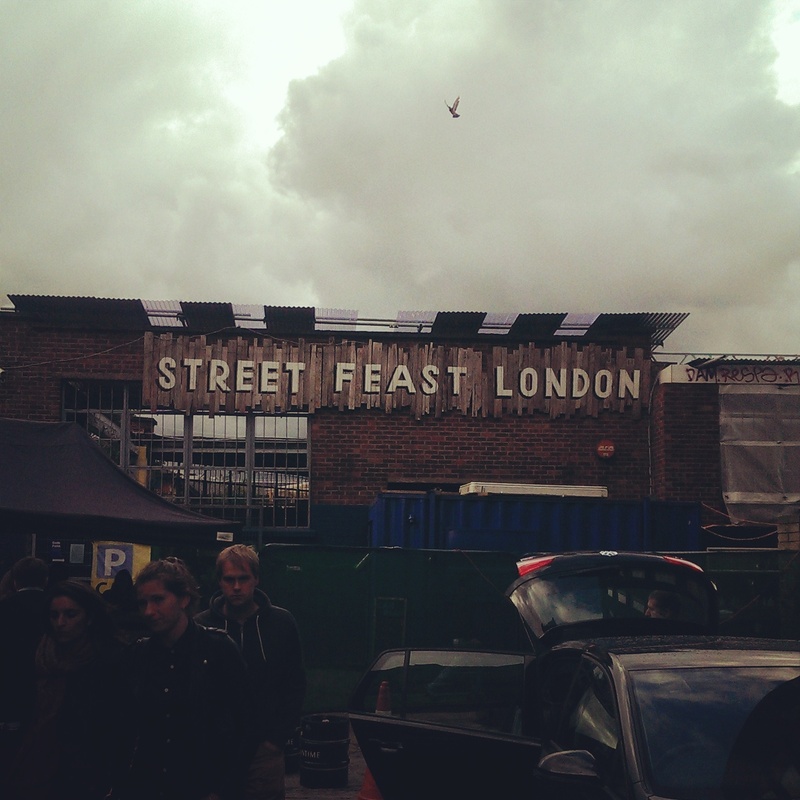 Street Feast will show up to Lewisham for 15 weeks on 20th June.